ClearOne’s damages expert Richard Hoffman calculated lost profits and unjust enrichment. Id. Hoffman calculated lost profits by multiplying the number of channels Biamp licensed from WideBand by $83.49 (the average price per channel from the ClearOne/Biamp contract). Id. The jury found that ClearOne was entitled to $956,000 in lost profits against the WideBand defendants, and $956,000 in lost profits against Biamp. Id. Hoffman calculated unjust enrichment against Biamp by multiplying the profit that Biamp made on the sale of a particular product by the number of products sold. Id. *2. For WideBand, Hoffman totaled the profits that WideBand made from products that were made using the misappropriated code. Id. The jury agreed with ClearOne and found that the defendants were unjustly enriched in the amounts presented by ClearOne. Id. ClearOne requested prejudgment interest on the lost profits and unjust enrichment awards in a post-verdict motion. Id. The district court determined that Hoffman’s estimates of these damages lacked the mathematical certainty required for an award of prejudgment interest under Utah law, and denied ClearOne’s request. Id. ClearOne appealed. Id. In Utah, prejudgment interest is only available when damages can be calculated with mathematical accuracy. Id. *2. The court noted that prejudgment interest is most appropriate where defendant owes the plaintiff a liquidated amount because damages are readily ascertainable and quantifiable. Id. *3. The court distinguished these cases from personal injury, wrongful death, or similar cases because in those cases, there is no fixed standard of value so prejudgment interest is not permitted. Id. The court remarked on the reluctance of Utah courts to award prejudgment interest on lost profits because the “very nature of lost profits injects an air of uncertainty and speculation into the calculation of damages” regarding what profits would have been made if the defendant had not acted wrongfully. Id. *3. The court wrote that lost profit damages are not an actual, ascertainable loss; they are the factfinder’s best approximation of that loss. Id. The exception the court noted is that prejudgment interest may be appropriate on actual past lost profits, such as the losses incurred before the defendant’s wrongful act. Id. 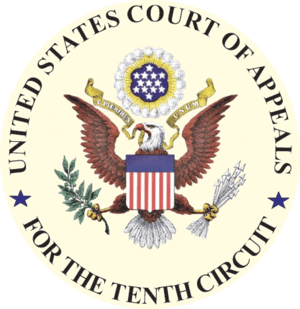 The Tenth Circuit affirmed the district court’ denial of prejudgment interest on lost profits because it found that lost profits were hypothetical. Id. The court reasoned that even though the expert witness used actual sales numbers from the license between WideBand and Biamp, the actual figures were only an estimate or proxy for the number of sales that ClearOne would have given to Biamp if the misappropriation had not occurred. Id. Similarly, the Court of Appeals affirmed the district court’s refusal to award prejudgment interest on unjust enrichment. Id. *4. The court noted that Utah courts are equally reluctant to add prejudgment interest to unjust enrichment awards unless the actual unjust enrichment is ascertainable. Id. The court determined that in this case, prejudgment interest was unavailable because there was no definite and ascertainable sum of money to define the unjust enrichment. Id. The court reasoned that the unjust enrichment in the present case only approximated the value of the benefits the defendants gained from misappropriating ClearOne’s trade secret. Id. ClearOne’s expert calculated unjust enrichment by calculating the defendants’ profits, but the court noted that benefits in this case could be determined in numerous ways, and not all of the defendants’ profits may have been attributable to the misappropriation of trade secrets. Id. The court concluded that prejudgment interest is not appropriate where the expert’s manner of calculating damages was merely one of many ways by which such damages could be determined. Id. The fact that the jury agreed with Hoffman’s valuation in this case does not mean that the damages were calculable with mathematical accuracy. Damages do not become measurable merely because a factfinder quantifies them. Chief Judge Mary Beck Briscoe, wrote the opinion for the court, with Circuit Judges William J. Holloway, Jr. and Jerome A. Holmes concurring. Richard D. Burbidge, Jefferson Wright Gross, Burbidge Mitchell & Gross, Christine T. Greenwood, James E. Magleby, Jason A. McNeill, Jennifer Fraser Parrish, Christropher M. Von Maack, Magleby & Greenwood, PC, Salt Lake City, UT, for Plaintiff-Appellant. Randolph Frails, Randolph Frails, PC, Augusta, GA, Peter H. Donaldson, Mark O. Morris, Amy F. Sorenson, Snell & Wilmer, L.L.P., Scott A. Dubois, Christopher Martinez, Karra J. Porter, Christensen & Jensen, P.C., Emily Van Gorder Smith, Ray Quinney & Nebeker P.C., E. Scott Savage, Salt Lake City, UT, Doug Dubitsky, Updike Kelly & Spellacy PC, Harford, CT, Jennifer Lynn Fitzgerald, Leland W. Hutchinson, Jacob Daniel Koering, Matthew J. Kramer, Freeborn & Peters LLP, Chicago, IL, Lamar Fredrick Jost, Christopher P. Montville, Marsha M. Piccone, Wheeler Trigg O’Donnell, LLP, Denver, CO, for Defendants-Appellees.